The Manitowoc Airshow has been highly rated for years because of its innovate nature. We’ve hosted the best of the best in Air shows in the air and on the ground. The Manitowoc Airshow has hosted the United States and Canadian armed forces. 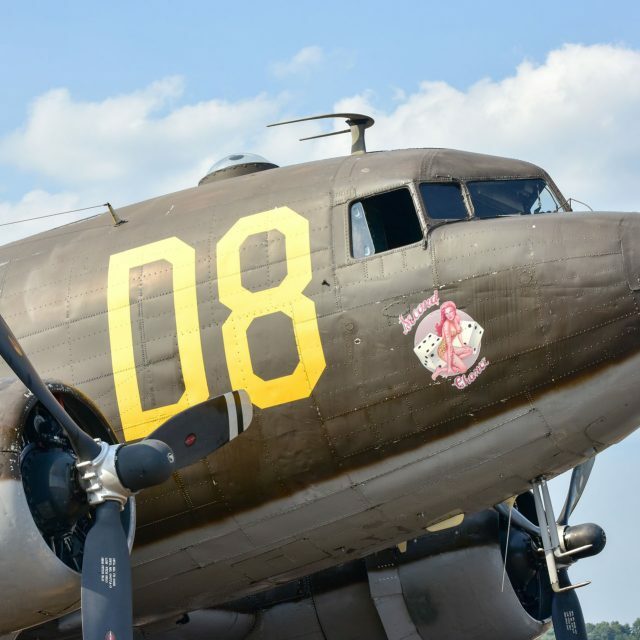 We’ve also strived to offer the largest selection of static or non-flying displays every year which includes; U.S. Marine Corps, Army, Navy and Air Force aircraft as well as historic military and civilian aircraft. Our air shows also feature numerous commercial vendors and displays representing the entire U.S. armed forces, local law enforcement, civilian flight organizations and the business fraternity. Daily shows are supplemented by night shows featuring exciting musical performances, fireworks displays and much more! There is so much to do on the field and gates open as early as 7 am. There’s also plenty to eat including all-you-can-eat meals. We also have special arrangements for parking as well as visitors arriving by air. Visiting pilots get free breakfast and an opportunity to fly their planes as part of the show. Air shows are events which feature airplanes performing aerial displays. However, there’s a lot more to air shows. 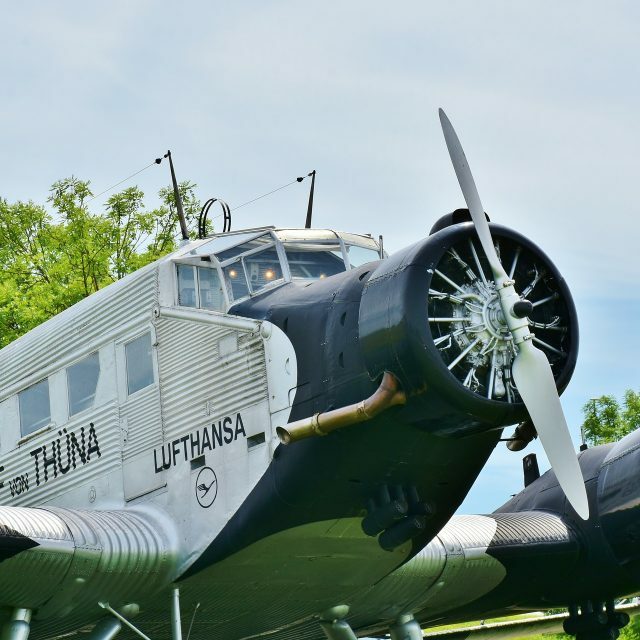 For instance, attendees get to see the latest in airplanes and aviation technology. Air shows attract hundreds of thousands of aviation professionals, enthusiasts, and the general public. The events take place every year around the world. 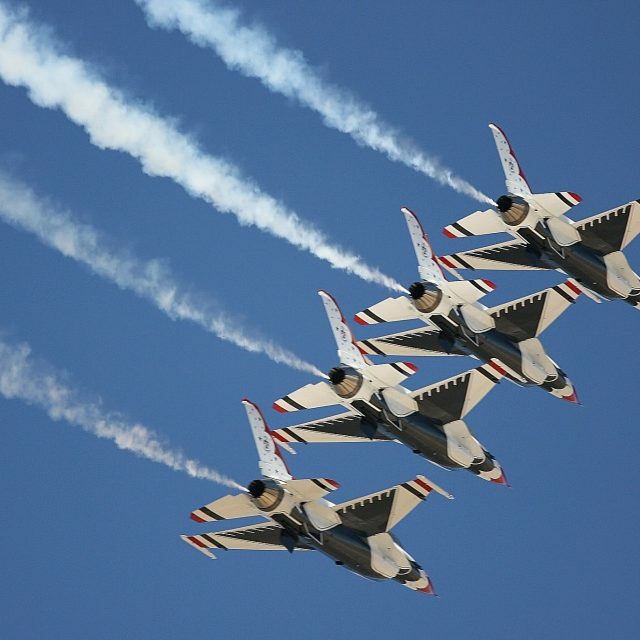 The U.S. is home to numerous air shows the most notable being the Miramar Air Show held in San Diego and the Oceana Air Show held in Virginia. 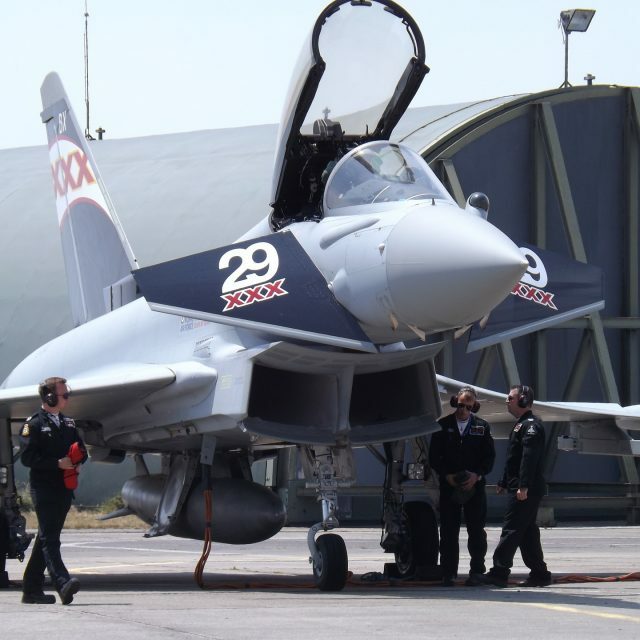 The UK is also home to one of the largest air shows in the world dubbed the Royal International Air Tattoo. Canada also has the Abbotsford Air show. Given the fact that there are many air shows held every year in different parts of the world, what makes an air show great? 1. 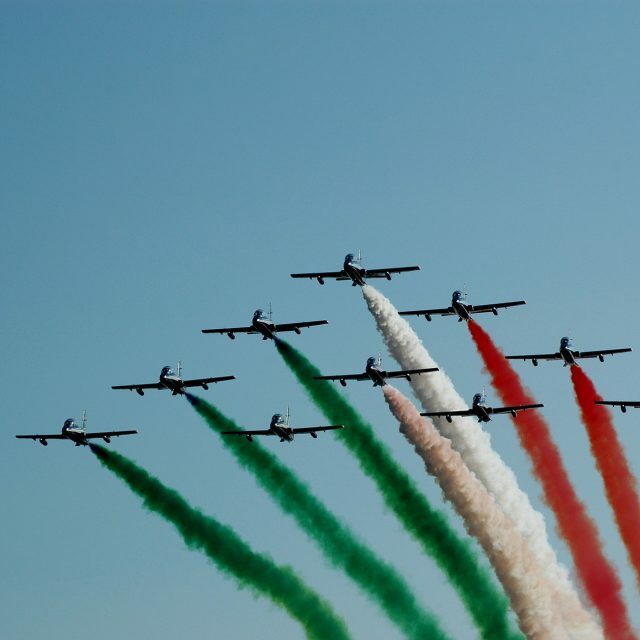 Jaw-dropping aerial displays: Most people go to air shows to see aerial displays. There may be many other activities going on in an air show, but the aerial displays are the main attraction. For this reason, the aerial displays have to be unique and jaw-dropping. 2. Unobstructed views: The best air shows also offer unobstructed views of aerial displays to the public. Everyone should be able to witness the aerial displays without getting obstructed by buildings or vegetation. To get the best views, you need to get to the airshow early and find a strategic spot. 3. Proper parking and transport arrangements: Since air shows are held in vast airfields, there should be proper parking arrangements and ample transportation to and from the main area. Or, feel free to rent a luxury limo and get transported in style! 4. Proper seating arrangements: Unobstructed views shouldn’t be at the expense of comfort. Great air shows have proper seating arrangement for the public who would want to enjoy the show while sitting down under some shade. 5. Ample refreshments: Great air shows also have enough food and refreshment vendors since attendees are bound to get thirsty and/or hungry in an air show. You can carry your own refreshments to avoid inconveniences. 6. Aircraft/aerial display variety: Great air shows also have a variety of everything from aircraft to aerial displays. 7. Unique commentary: A great air show should also have commentary done by an experienced industry expert. The commentary should also incorporate live cockpit conversations. 9. Exhibits/shopping: Exhibitors also make air shows exceptional. Great air shows have all kinds of aviation industry stakeholders showcasing their products and services. For instance, attendees should be able to get leads on pilot training, aircraft parts and merchandise in air show exhibition stands. 10. Entertainment: A great air show must also incorporate entertainment such as musical performances and fun games for all attendees including children. Since aerial displays aren’t continuous, attendees must be kept engaged in other activities. An air show that incorporates all the above is bound to be great. Most importantly, the aerial displays must be unique and jaw dropping. Ideally, the aerial displays must be better than previous displays. The attendees must also be comfortable, engaged and entertained. Most pilots can attest to the fact that flying is a rewarding experience. The joy of flight is usually in the benefits derived from flying. If you care to know how flying benefits you, here are some top pros. Flying is the fastest mode of transport in the world. It takes a plane several hours to cover a distance that would take a car a day or two. Before planes came into existence, transoceanic travel took months. Air travel has reduced the time it takes to move from one place to another increasing the speed at which we do business and travel for leisure. Without air travel, the speed at which we do things would slow down considerably. The joy of flight is also in its efficiency. Airplanes can transport large groups of people and cargo over long distances in a short time compared to road or water transport. Flying is also more efficient in regards to delays. Punctuality is of paramount importance to all airlines globally. In fact, there are very strict air travel rules and stiff penalties on excessive delays. Such assurances are only unique to air travel. Furthermore, airplanes are not subject to delays caused by traffic and unnecessary stopovers as is the case with public road transport. Flying is by far the most efficient mode of transport globally. Flying also has health benefits. Airplanes are arguably more comfortable than vehicles. Flying is also less stressful than driving. Pilots have an easier time than drivers today. Passengers also have more enjoyable things to do in airplanes than in vehicles. Air transport also offers smoother rides than road transport. Air travel also allows unmatched exploration of new places which is also relaxing. Air transport has made the world a smaller place. It’s possible to travel to the furthest corner of the globe in less than a day regardless of where you live. Engagement between cultures has increased significantly because of air transport. There is much more knowledge and understanding between the different cultures of the world today. Increased global accessibility makes it easier for people to pursue education and business opportunities around the globe. Every single country in the world has benefited economically because of air transport. Global tourism revenue stands at $1.2 trillion as of 2016 according to the latest statistics. Flying has opened up markets that were once inaccessible. It has also reduced the cost of doing business between two distant places. A lot of money is saved by reducing the time it takes for goods and services to be transported to and from two destinations that are far apart. Air transport is generally preferable because of the benefits which range from the time you save to the economic benefits you enjoy from flying. Flying is fast. Flying is also more efficient than other modes of transport. You also stand to enjoy health benefits such as relaxation when you travel by air. Furthermore, you get to benefit economically and culturally. Flying is cheaper over long distances with the element of time in mind. Flying has also boosted trade, tourism, and cultural integration.